The Peterloo Massacre. 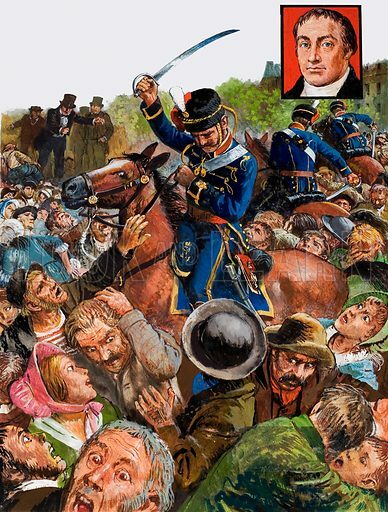 As 50,000 protesters screamed in panic, the hussars rode through the crowd, swinging and striking out at anyone within reach. Inset: Henry Hunt. Original artwork for the illustrations on p29 of L&L issue no. 981 (27 December 1980).